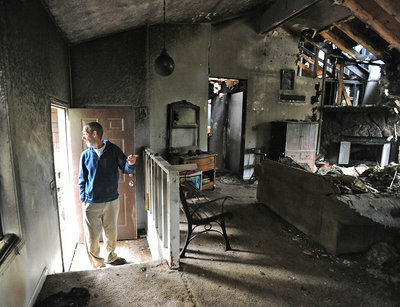 Home » Blog » Are you Prepared for Fire Damage to Your Property? Are you Prepared for Fire Damage to Your Property? With the warmer weather on our doorstep, and bushfire devastation still fresh in our memories, now is the time for all Australians to consider their fire preparation strategy. 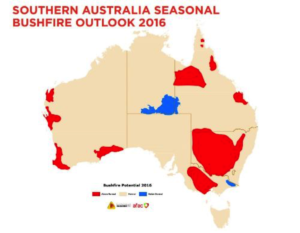 The National Seasonal Bushfire Outlook has been released for 2016 – and ‘above normal’ threats are predicted in Victoria, NSW, QLD and WA… with Principal Climate Research Analyst Bruce Buckley acknowledging that heavy rain forecast may delay the serious threats from late 2016 to early 2017, and excess vegetation further increasing risks! There are of course a number of important steps involved with properly preparing your business or residence for the bushfire season, outlined thoroughly in the Department of Fire and Emergency Services WA’s bushfire preparation information. Have an emergency plan in place – which is up to date, easily accessible, and understood by all relevant parties. Removing potential hazards and cleaning up hazardous areas of any potential fire aids such as dry vegetation. Inspect sprinkler systems & fire protection (including extinguisher expiry dates) before the bushfire season, and regularly throughout the year. There are also new technologies being applied to bushfire preparation in the wake of damages over recent years… such as the Remote Fire Defence system developed by automated systems manufacturer iPControl. Using Smartphone technology, iPControl have developed an application that enables home or business owners to activate prevention methods remotely, by monitoring the condition of their stored water facilities, and activating water pumps for precautionary wet-down releases. Considering 70% of losses associated with the spread of bushfire are caused by airborne embers, this technology is expected to greatly reduce the risks of ignition to properties in danger zones. Whether you’re business or residence is in immediate threat of fire, or could suffer the secondary effects of devastation to partners, suppliers or clients… making sure you have adequate insurance in place before the bushfire season begins is an extremely important consideration. Whilst physical damage and personal safety is often quite rightly at the forefront of our minds, the ongoing damages fire can bring to businesses and communities can be just as devastating. Revisiting your insurance situation to ensuring you have appropriate protection in place against all possible damages to your well-being is highly advised. For further information or enquiries regarding how to adequately protect yourself against fire risks, please don’t hesitate to contact the insurance professionals at GSK Insurance Brokers.